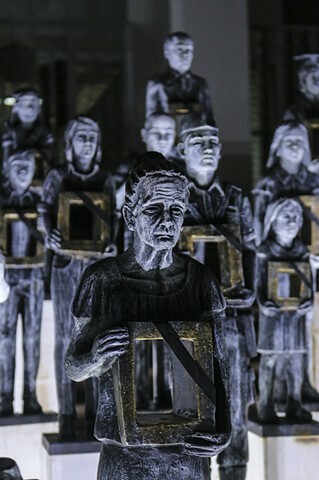 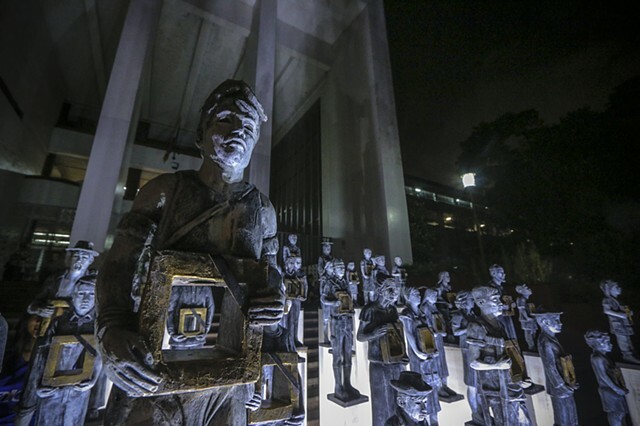 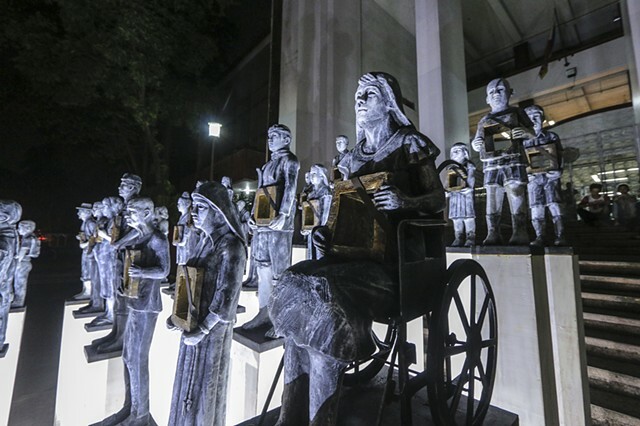 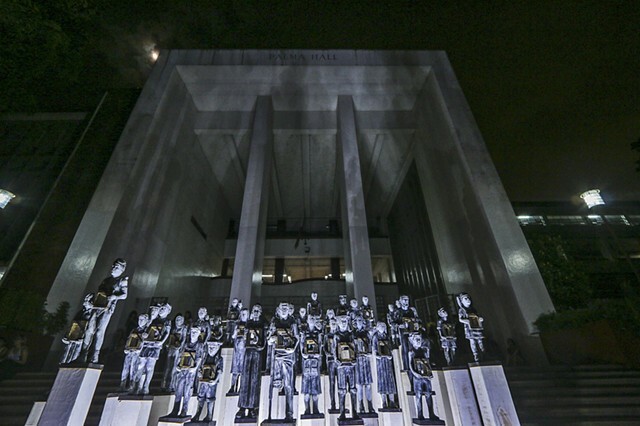 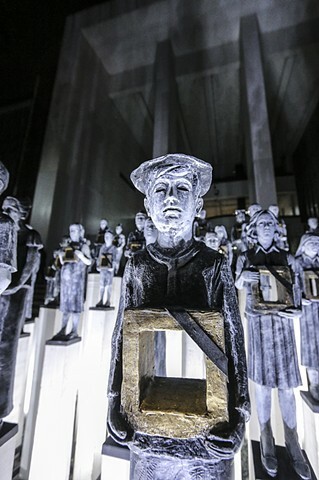 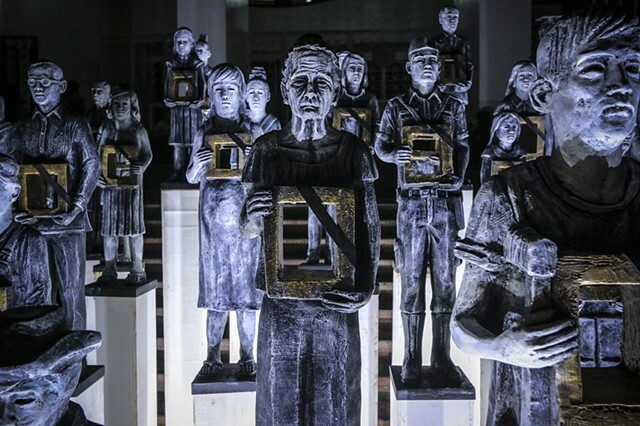 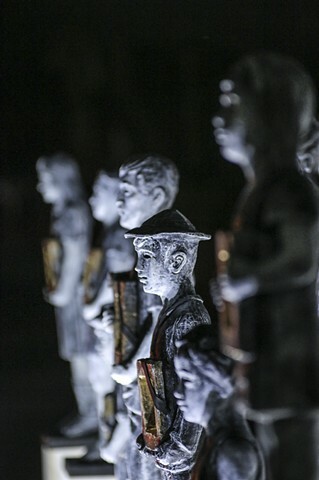 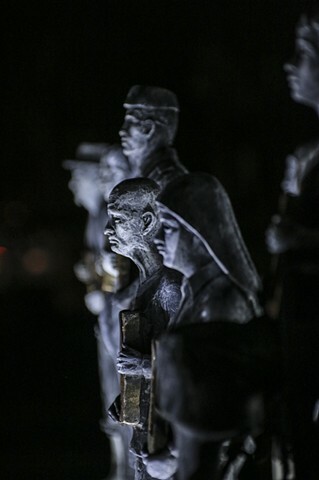 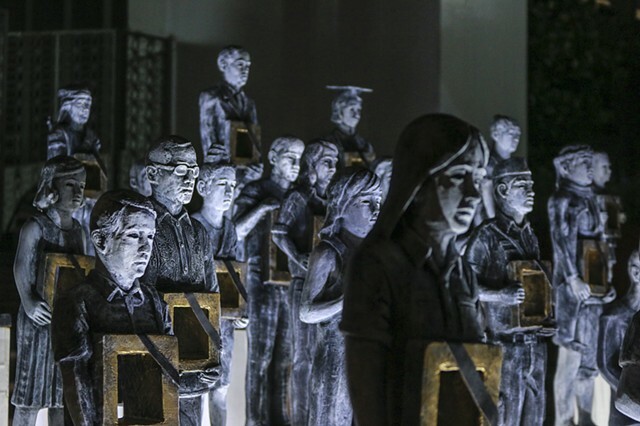 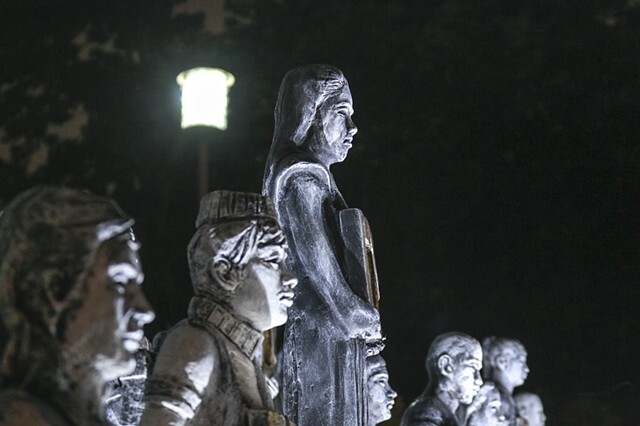 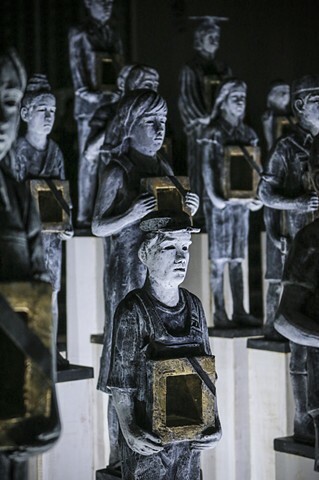 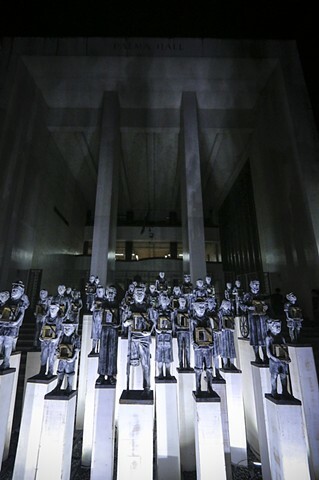 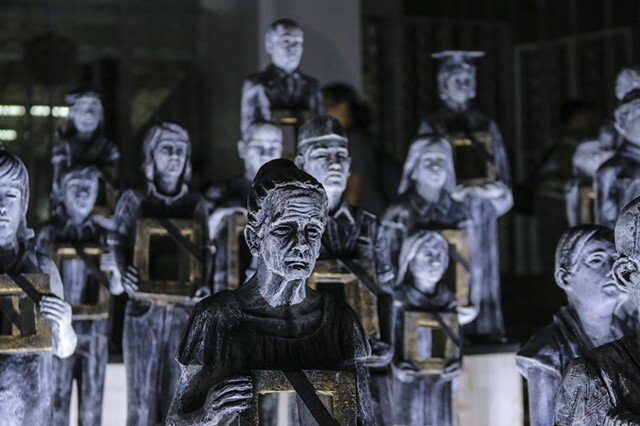 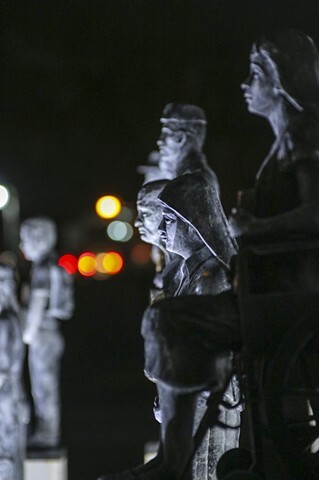 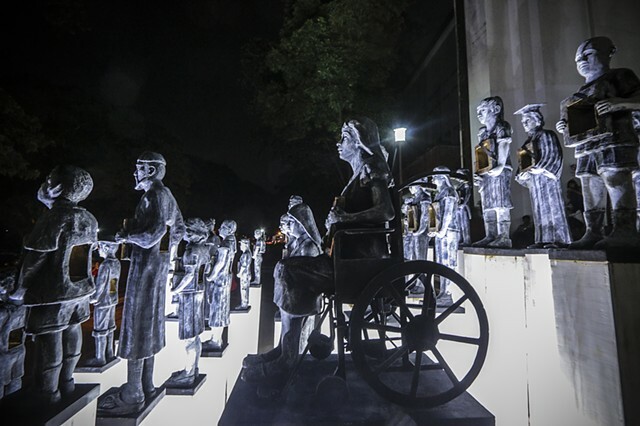 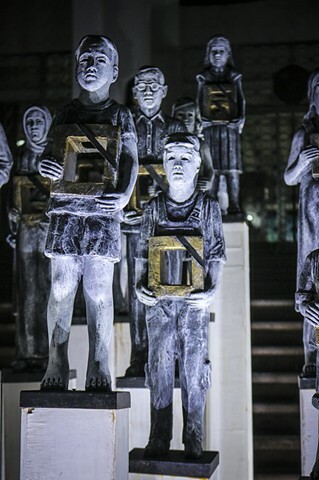 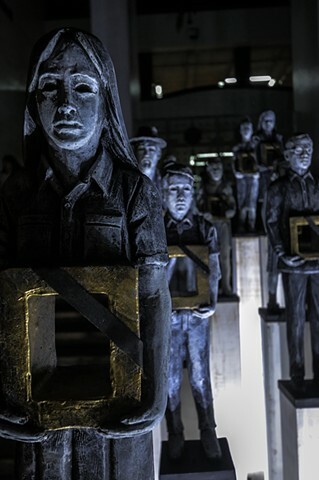 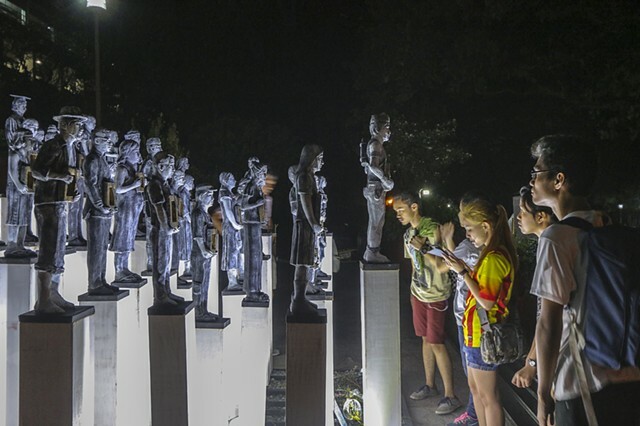 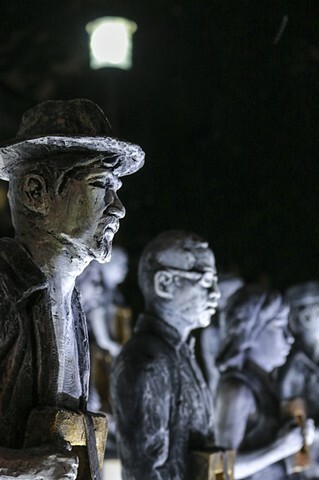 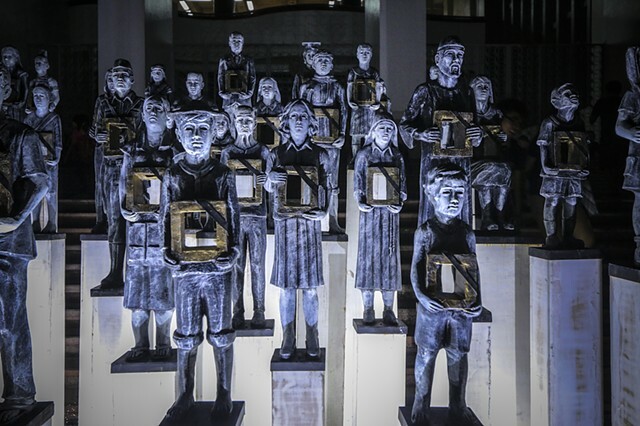 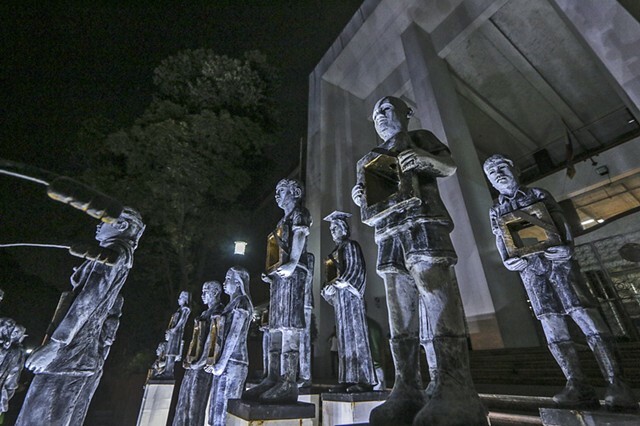 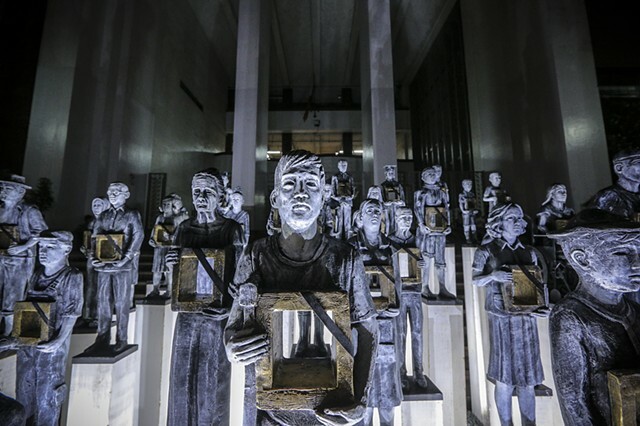 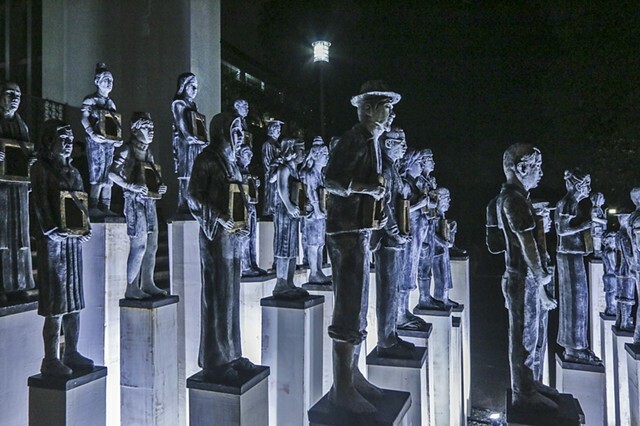 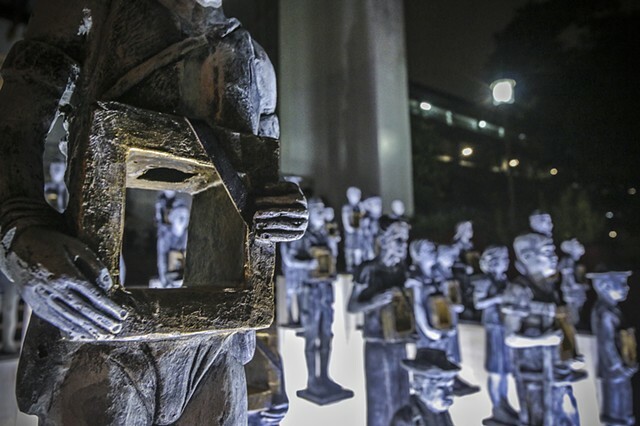 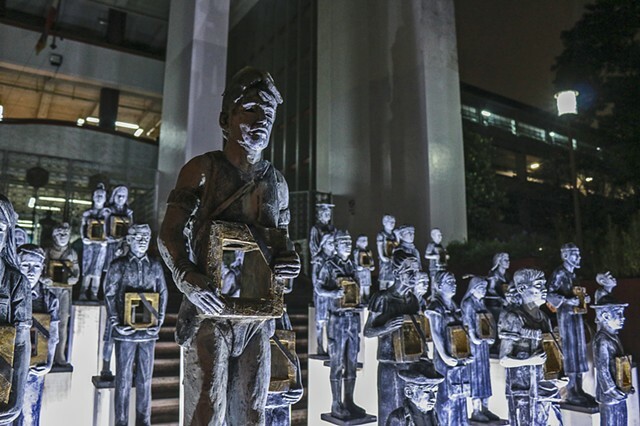 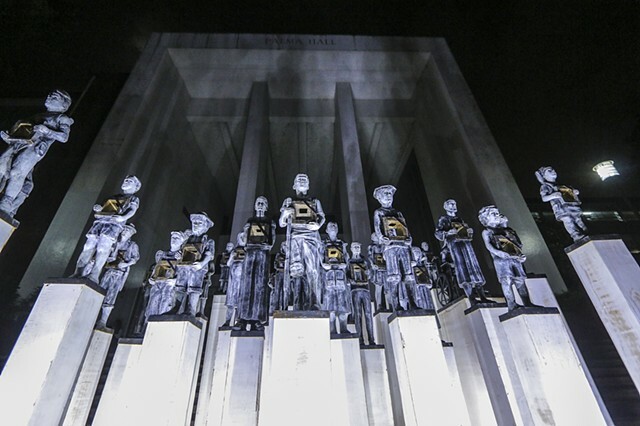 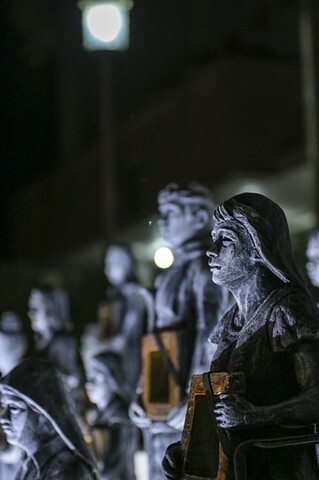 The 43 figures in Toym Imao's art installation represent those left behind by victims of forced disappearance. 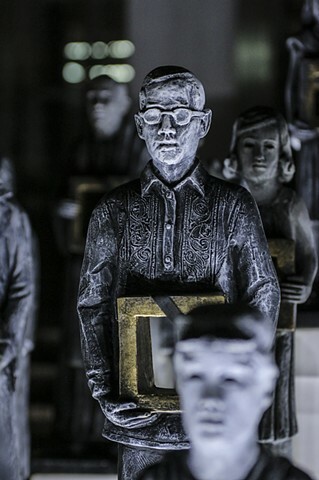 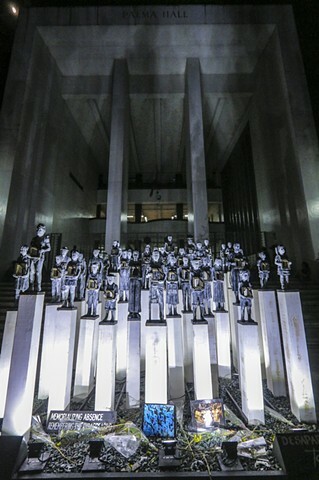 Empty and hollow, each figure represents a year since Martial Law was declared. 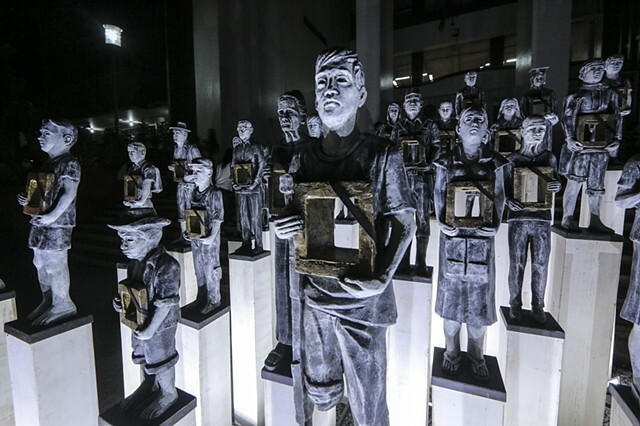 Instead of portraits and picture frames, the figures hold empty niches, signifying death, the lack of closure, the emptiness, the hollow feeling, and the gut-wrenching pain those left behind must deal with. 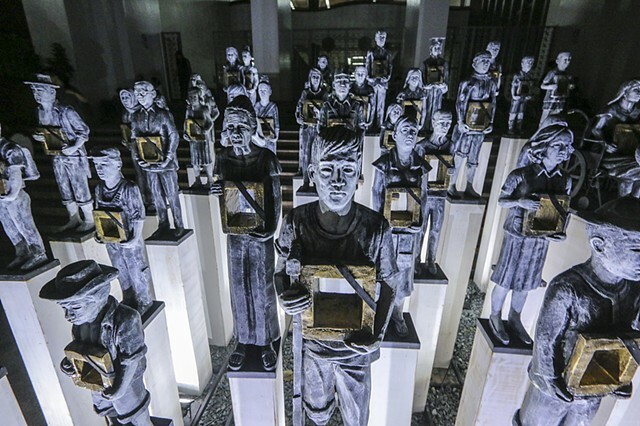 *Desaparecidos was first unveiled at the University of The Philippines Diliman in 2015. 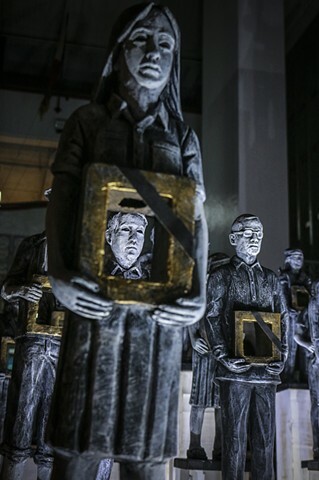 Since then it has been exhibited at the EDSA 30 Experiential Museum (2016), the Hudyat! 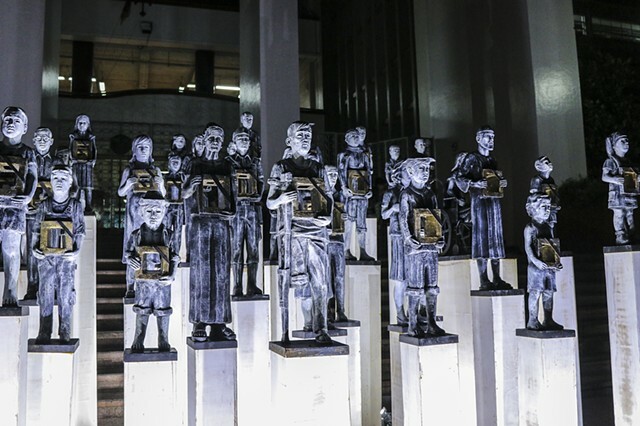 exhibit (2017) at the Far Eastern University, and the Bantayog ng mga Bayani grounds.